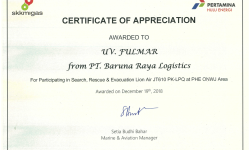 Certificate Of Appreciation Awarded to UV. 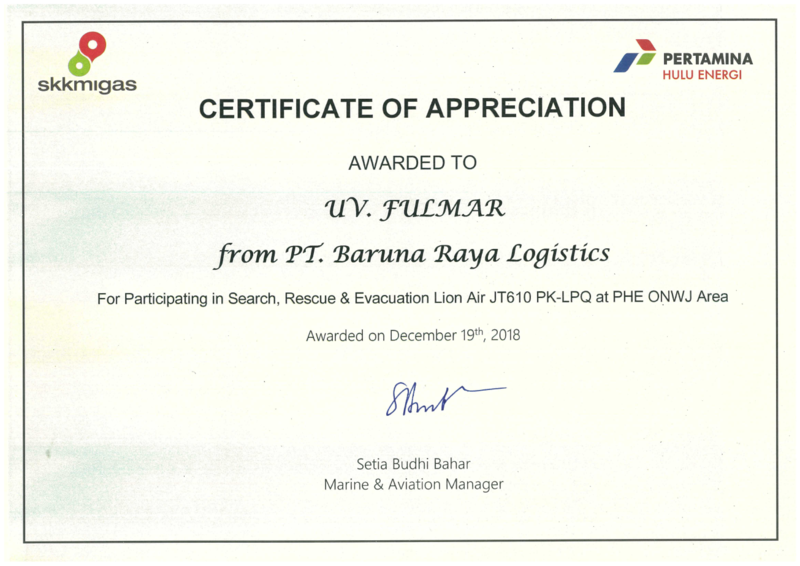 Fulmar For Participating in Search, Rescue & Evacuation Lion Air JT610 PK-LPQ at PHE ONWJ Area. 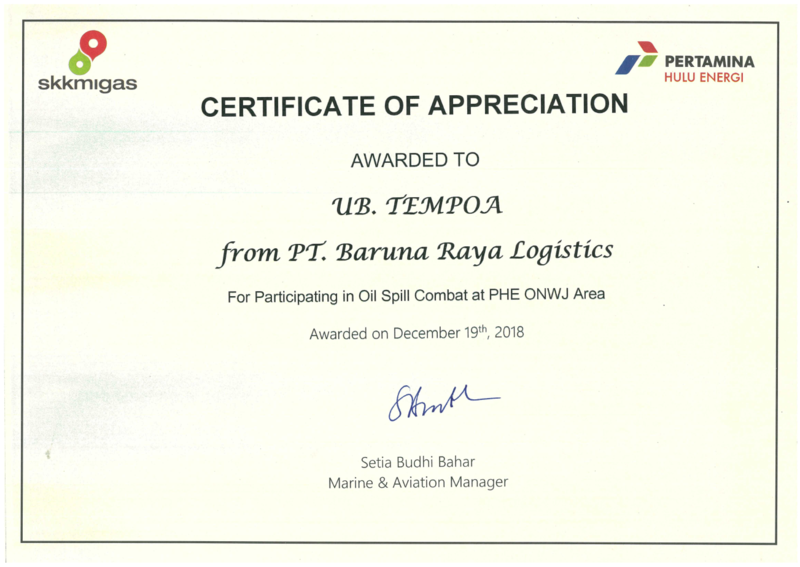 Certificate of recognition awarded to PT. 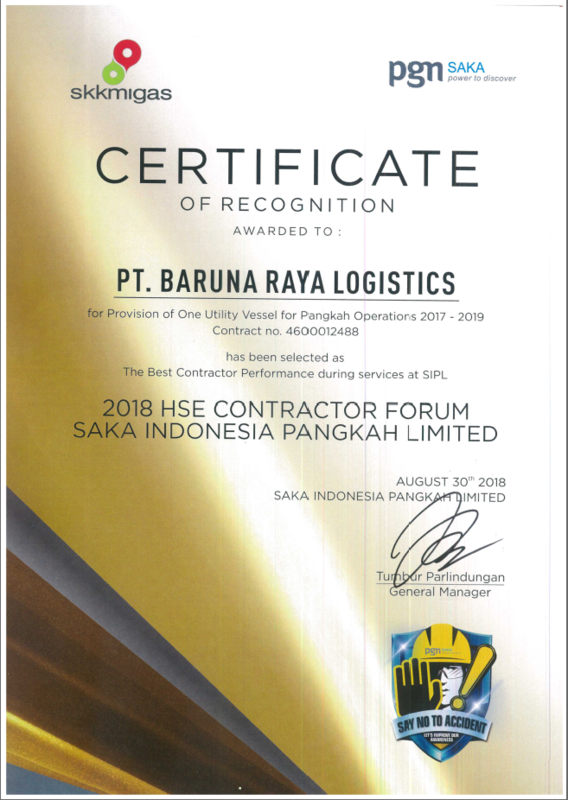 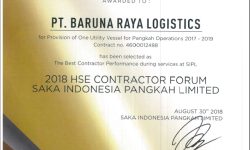 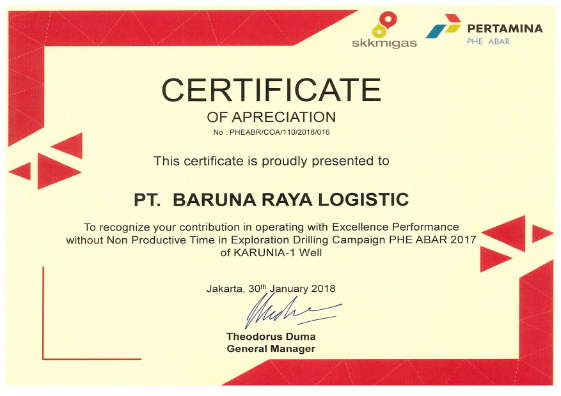 Baruna Raya Logistics for Provision of One Utility Bessel for Pangkah Operations 2017-2019, has been selected as The Best Contractor Performance during services at SIPL. 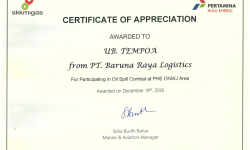 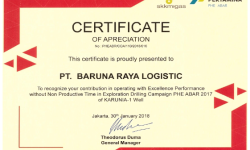 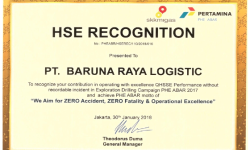 To Recognize the contribution in operating with Excellence Performance without Non Productiive Time in Exploration Drilling Campaign PHE ABAR 2017 of KARUNA-1 Well. 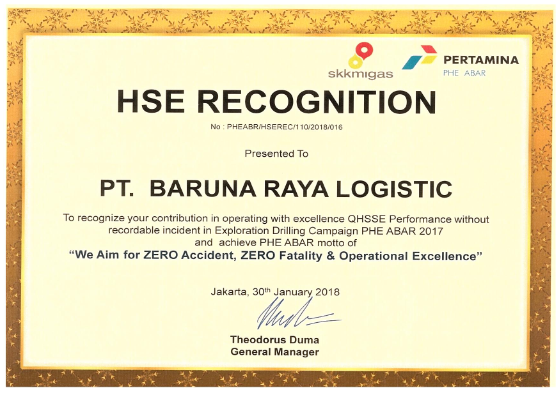 To recognize the contribution in operating with excellence QHSSE Performance without recordable incident in Exploration Drilling Campaign PHE ABAR 2017 and achieve PHE ABAR motto of "We Aim for ZERO accident, ZERO Fatality & Operational Excellence"